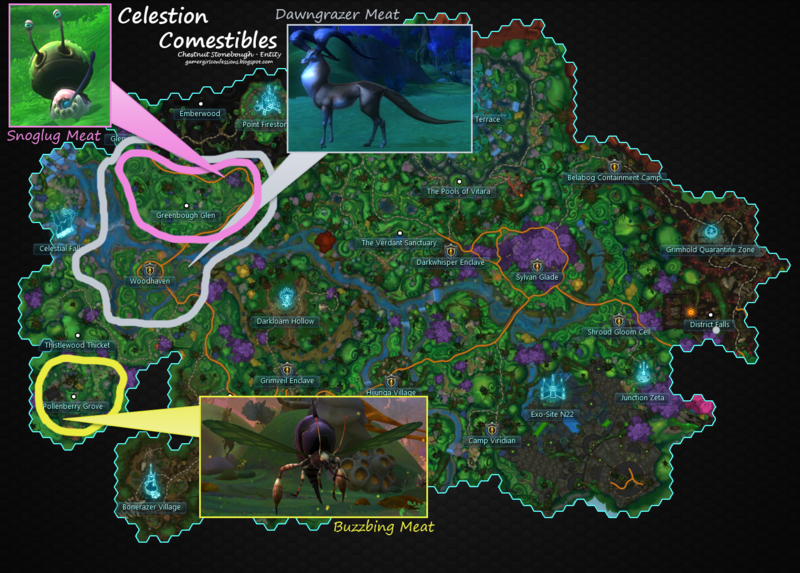 Leveling cooking in WildStar is difficult. Not just what you have to do to unlock recipes and hit the nodes and tear your hair out, but also the fact that to fill out the cooking tech tree to unlock higher level recipes, you will need to cook certain amounts of lower level recipes to earn “stars” to fill out the tree. The most difficult part to filling out the tree and getting these stars is to, well, grind out the materials. The meats being the hardest to grind out because of the low drop rates. So I have been slowly working on a guide. The areas highlighted are the highest drop rates I have personally found (and with a little research via Jabbithole to confirm suspicions). It is by no means complete, but I feel okay posting the first two for now. This is spurred by a conversation with DasMoose and Alyred. 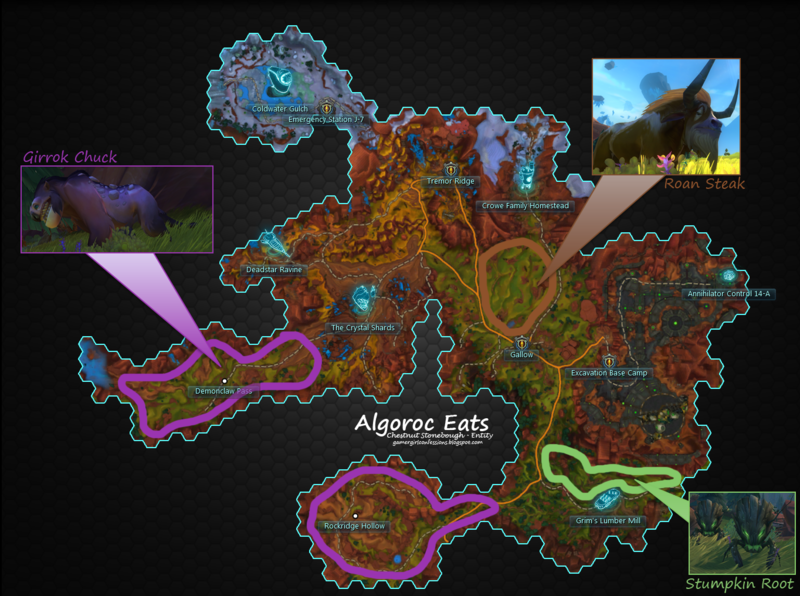 Edit: A note, brought to my attention by Alyred: If you’re a Survivalist you will have slightly higher than sucktacular drop rates by salvaging the carcasses that drop. Excellent beginning! A thought might be to mention that you'll get higher drop rates (though still miserable) if you're a survivalist, and can salvage the random carcasses that drop. As usual, one of the sad parts is that as people spend relatively less time in these zones then they do at endgame, the materials from these zones are rather rare… unless farmed specifically, it's only what people gathered on the way through. It's a problem that makes it even MORE difficult to get progress on the cooking profession. Good point. I never think about that–I always take being a Survivalist for granted, but that might be why I have higher drop rates than guildies also farming. It is sad. If more people went out to grind it, they could make a killing on the Commodities Exchange for the few of us crazy enough to level cooking. The level 50 mats are cheap compared to having to buy, for instance, Stemdragon Meat. Funny part is, I tried doing just that. Unfortunately, because of mob respawn rate and spacing, the drop rates are STILL so bad it's more profitable to do a number of different things.